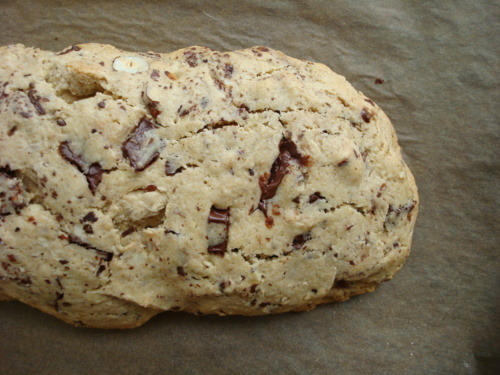 American biscotti are more similar to a cookie because we add some kind of fat- in this case, (and most others) butter. I like the American version better. When I make the Greek version…well… then I will have really accomplished something. 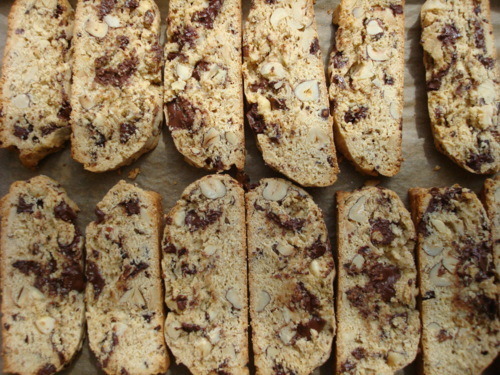 These biscotti are perfectly hard, but not too hard, sweet but not too sweet, and above all just delicious. When I have them with coffee I get a glassy look in my eyes because I have briefly visited a taste utopia. 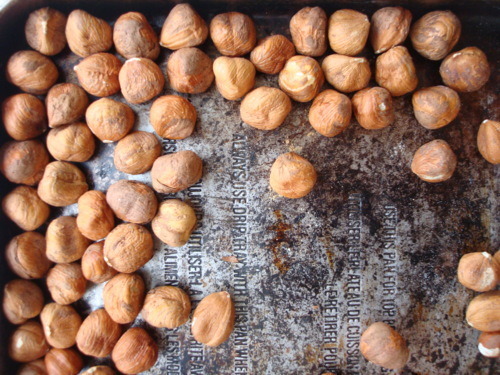 Spread hazelnuts on a baking sheet and toast at 350 for about 8 minutes- or until they are fragrant and light brown. Cool and chop. Then lower oven temperature to 325. Beat sugar and butter together, and add eggs one at a time, fully incorporating each egg before adding the other one. Whisk flours, baking powder, salt and cinnamon in a bowl and add to butter mixture. 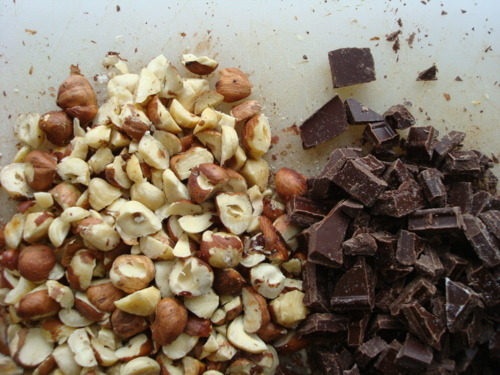 Fold in chopped chocolate and hazelnuts. The mixture will be sticky. Turn out dough onto a lightly floured surface and shape into a log about 3″ across. Bake for about 30 minutes. Until the log is firm to the tough and lightly golden brown. Take out of the oven and let cool for a good 20 minutes. Turn oven up to 350. 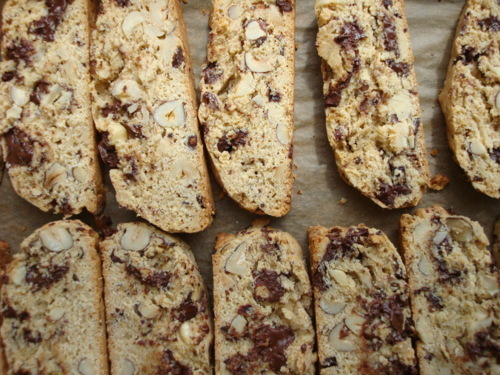 Using a serrated knife cut slices of biscotti. A generous 1/2″ or so and place onto a baking sheet. Bake for about 6-8 minutes, then flip the biscotti and bake the other side until they are an even golden brown.